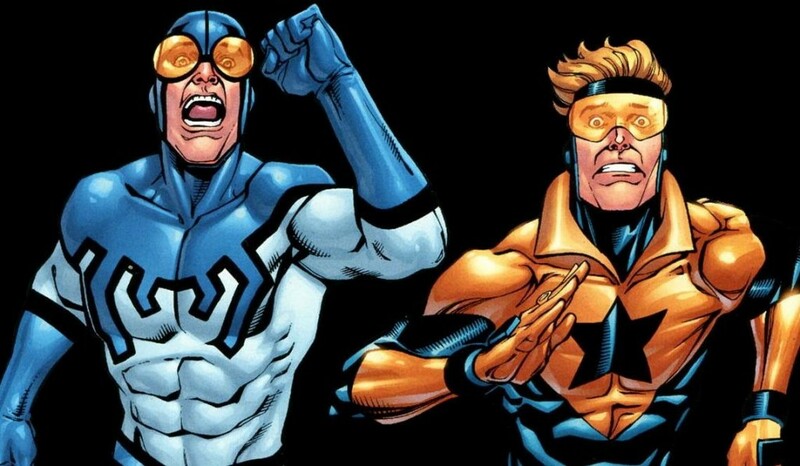 Warner Bros. Pictures is officially developing a movie about Booster Gold and the Blue Beetle, the DC Comics superhero and Justice League member. Sources have confirmed that Arrow and The Flash mastermind Greg Berlanti, who also produces the upcoming CW show Legends of Tomorrow, is set to direct and exec produce the movie. The film will team the two heroes together in what’s being pitched as a superhero buddy cop movie. Comedy is the emphasis here, which is a stark contrast to the other titles in DC’s Cinematic Universe, breaking the mold of the serious and grounded Man of Steel and Batman v Superman: Dawn of Justice. The Booster Gold/Blue Beetle team-up movie is only another in a long line from Warner, which is developing several crossover films for it’s DC characters, with Suicide Squad, Justice League, and Green Lantern Corps to name a few. Booster and Beetle were long rumored to appear on either The Flash or DC’s Legends of Tomorrow, though Legends showrunner Phil Klemmer recently hinted that something bigger could be in the pipeline, which we now know is a full length feature film. Berlanti’s a huge player in Warner’s DC realm, having nabbed a story credit on both the upcoming Flash and Green Lantern films, not to mention that he’s also behind the forthcoming Supergirl series. Though Supergirl, The Flash, Legends of Tomorrow, and Arrow are separate from the films, Berlanti is credited with provoking a renewed interest in DC characters and is the ideal choice to shepherd Booster Gold. The multi-faceted director, producer, and writer is a well-known fan of the character, having scripted the pilot for a potential Booster Gold series that was once being targeted by Syfy.